I must admit, until somewhat recently, I didn’t buy CBD oil. For over 15 years I have had a ritual which has been a big part of my everyday life. That ritual was (and still is) Kratom powder. Every day I wake up and start my morning off with a cup of Kratom tea. But over the past year I have decided to buy CBD oil and have allowed it to have a part in my daily routine as well as Kratom powder. If you’re a hard-core Kratom user like I am, this article should resonate with you. This is the complete edition on why I buy CBD oil now and how it compliments the life I lead. 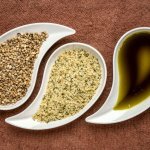 I want to share some important facts on CBD oil, and why this oil has become a part of my life. First of all, let me give you a reason to NOT buy CBD oil. There are so many falsely advertised websites which make all kinds of ridiculous claims. 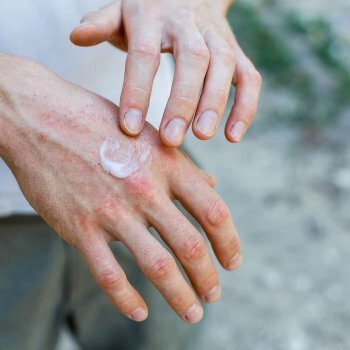 With all of the hype, I must say CBD oil is not a magic potion that can make you fly or do anything else preposterous – as I am sure you’ve also read these ridiculous statements about it. But for the common Kratom user like me, you’ll want to buy CBD oil because of the complementary characteristics it brings to Kratom powder. As I have already explained in past articles, CBD oil is something very special, and anyone who is interested in trying CBD oil should use it consistently for a month before they reach a final verdict. In my experience, I tried CBD oil for the first time and it wasn’t like the first time Kratom experience for me. Nothing happened. 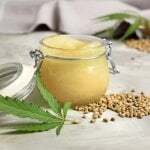 I thought it was a big waste of time, however, I began to see different research that explained how CBD oil worked better when used over time. So I gave it another chance. After 2 weeks of use I began to see a significant difference in my personal experience with CBD oil. Over time and consistent use, it produces a positive mindset within the user and helps your body secrete more cannabinoids in the endocannabinoid system, which is a good thing. That’s the number one reason to begin your experience with CBD oil today. 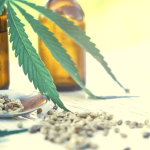 While there are many capable CBD distributors out there which can help serve your many needs, you have to understand there are limits to the ability of CBD. 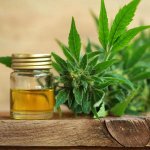 While it may be nice to read about a pipe dream someone claims about CBD, the fact is, you’ve got to understand what CBD can do for you before you shop CBD online. There are many trustworthy vendors online who take special precautions to have each batch of isolate tested. These are the people with whom you want to connect yourself with. 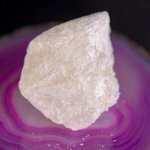 Here at Kats Botanicals, we are one of those reputable companies who test every batch of our CBD isolate. This ensures you are getting the best possible product that is both safe and potent. Ask the business to see their lab tests. A reputable company who has nothing to hide will always comply with your requests. The CBD oil at Kats Botanicals is full spectrum. This means you are getting the purity and consistency from the isolate and also getting CBDA, and all of the terpenes that come along with it. This is what the true wellness-minded individual is looking for. CBDA is an important compound in CBD oil called cannabidiolic acid. Large quantities of CBDA are found in high-CBD strains. Essentially, CBD comes from heating/aging the CBDA before they are transformed into the precursor CBD. CBDA is a raw compound found in hemp and works hand in hand with CBD. You’ve got to find the one you’re most comfortable with. We recommend getting as many customer testimonials as you can before making your decision. To give you a better idea of what you should be looking for, write down what you hope CBD oil can do for you. Next, find a place where customers hang out and connect with people who have similar needs and begin a conversation with them. 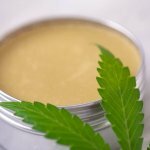 What are they saying about their experience with CBD oil? Does it line up with what you have written down? Doing your research on CBD is important so that you can clearly see the full potential of what it is and what it can do for you. 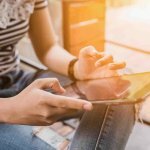 I cannot make any medical claims in this article. Thankfully, I don’t have any medical issues other than the usual suspects in a 40-year old body. But, I buy CBD oil for an overall feeling of wellness and to feed a positive lifestyle. If you’re looking to upgrade certain aspects of your quality of life, and you are already dosing with Kratom, throwing CBD oil into the mix is going to bring stellar results that are not to be missed! Are you already using our CBD oil? If so, we would love for you to share this post and let interested people know about your results on social media!